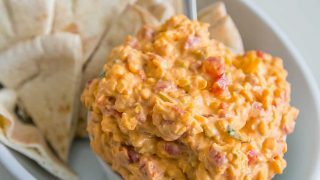 Creamy, cheesy, and a little tart- pimento cheese dip is the most delicious and decadent appetizer. 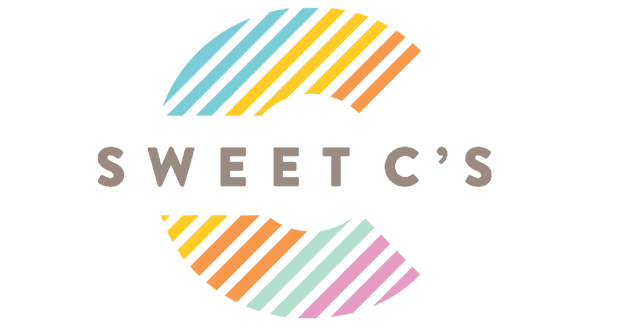 This southern classic is incredibly trendy – learn how to make the best! 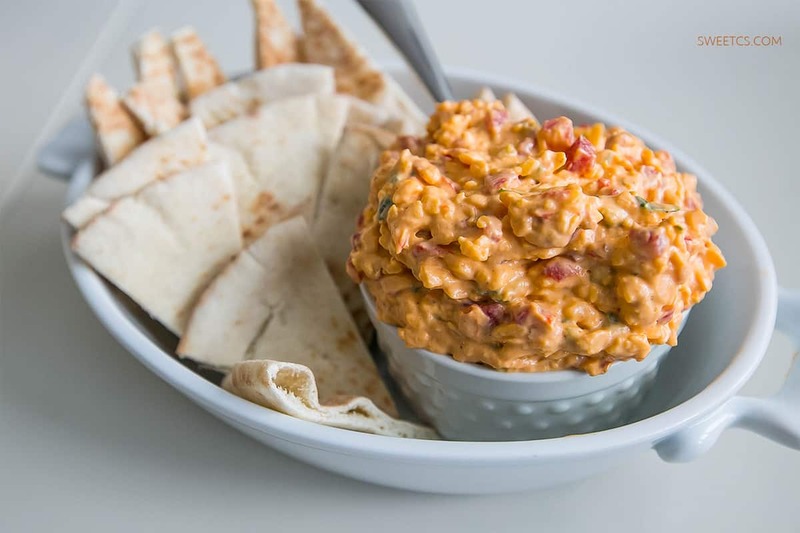 The fact that I love pimento cheese is weird to just about anyone that knows me well. The thing is, while I proudly proclaim cheese to be my best friend, I did NOT invite sour cream to the party. And that crap mayonnaise…. don’t even get me started on it. I literally gag when I smell mayonnaise. I blame the Great Southern Cafe in Seaside Florida. Or any of the deliciously hipster cocktail bars in San Fransisco my husband and I like to pop into on our somewhat yearly norcal pilgrimage. There is something about a cold beverage and a creamy cheese dip with tangy peppers that just does it for me. I mean… this stuff is SO damn good. My affinity for this traditionally southern cheese dip is so strong- I am thrilled it is a trendy offering once again, with hipsters across the nation lining up to dive in. I had to try out a few different recipes to find my own beloved flavor, as I have not a single drop of southern blood in my body, let alone an old family recipe to fall back on. This is so delicious though, I think you’ll agree it’s a winner! Now I just need to find a delicious fried frogs legs recipe, and I’ll be in heaven…. 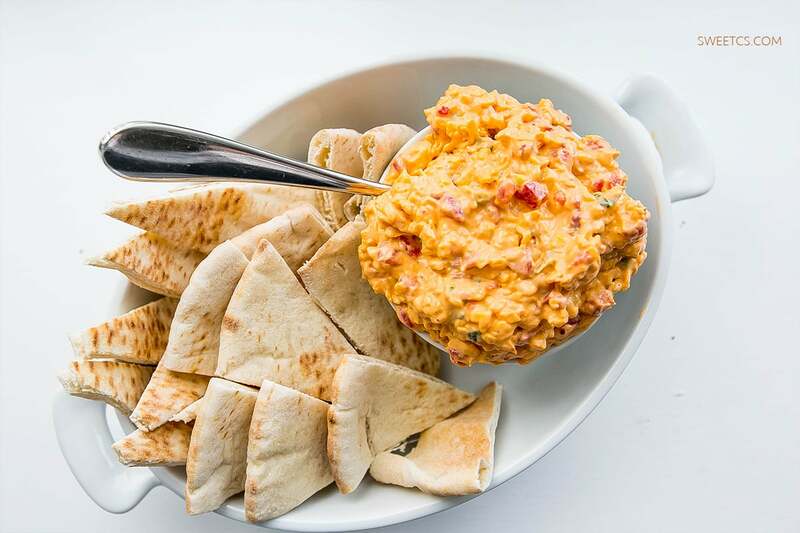 I’ve had pimento cheese with a ton of accompaniments, but my favorites are homemade saltines (which… yummy, but i am LAZY), and just plain old pita bread, cut into triangles (which is the winner for me). Crusty bread is also divine dipped into this deliciously oozy spread sent directly from heaven. I suppose you could also, you know, be healthy and dip stuff like veggies in it. But who are we kidding- this is a giant bowl of cheese, sour cream, and mayo. Sure, I tried to reason with myself that since it contains pimentos, which are a pepper, it pretty clearly classifies as a salad- but even my fatpants loving psyche couldn’t go for that one. So go ahead and dip in the bread, you know you want to! 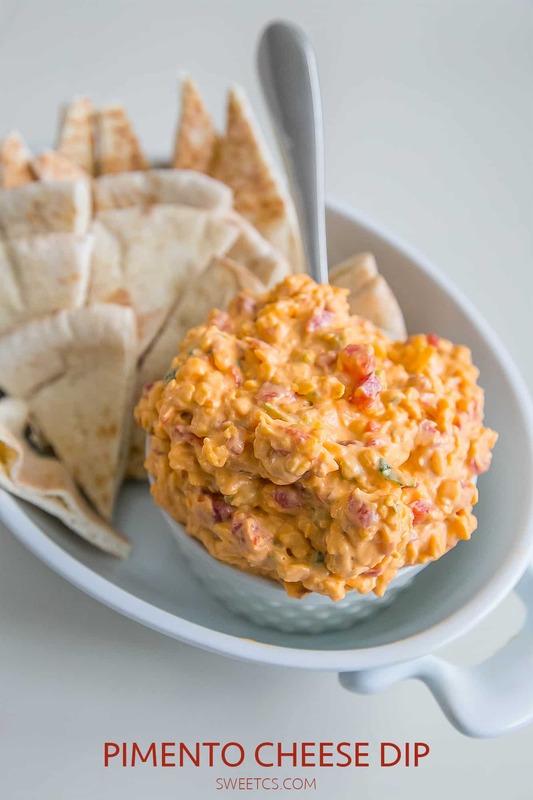 Creamy, cheesy, and tart pimento cheese dip is the most delicious and decadent appetizer. This southern classic is incredibly trendy - learn how to make the best! In a large bowl, mix ingredients. With an electric mixer or in the bowl of a stand mixer, whisk on high until creamy.